Although it has the perfect ingredients - and I am talking about the weather especially - for a successful afternoon tea formula, Germany is still a bit far away till adopting the good English habits. Especially now, when the dark, cold and bad weather is present more than ever, having a cuppa and enjoying a luxurious afternoon could be a good smoothing way to offer yourself a spark of wellness. 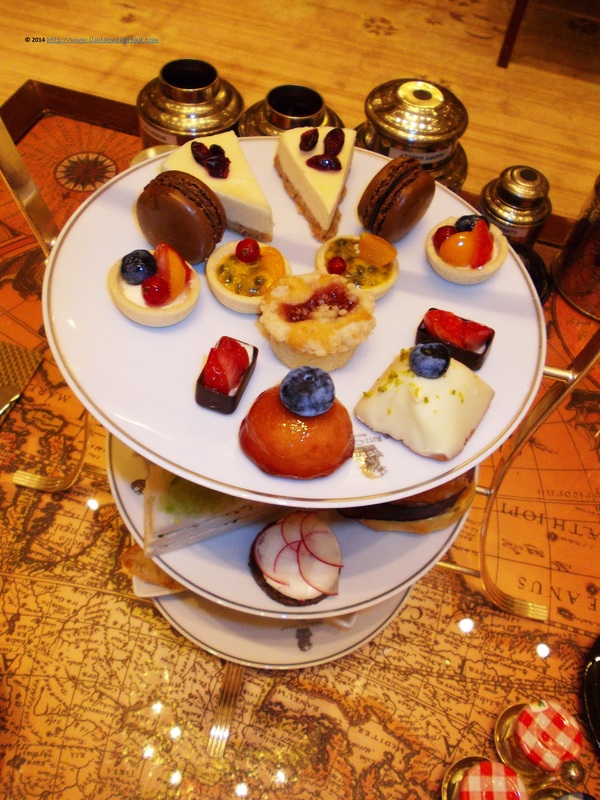 In one of the last days of this summer, I started again the search for the best afternoon teas in the city, ending up at the little palace of luxury hiding near the high-scrapers from Potsdamer Platz: at the unique The Ritz-Carlton Berlin. Early this year, I have been the guest of the first Ritz-Carlton in Germany, in Wolfsburg, where the afternoon tea left me with unforgettable memories of tastes and special tea flavours. As I was told that each hotel from this chain do have its special luxury trademark, I am here to discover the different reality. The afternoon tea takes places at the end of the huge lobby, designed according to the principles of Berlin's main architect, the 19th century Schinkel. Although situated in an open space, there is enough privacy and quietness to relax and enjoy your afternoon. Regularly, background piano music creates a special ambiance for the guests. As much as I would love to close my eyes and maybe have a little end-of-the summer dream, I know that I am here for work. The passion of the master tea Hernan Caballero telling me the story of the various teas I can chose from brings me back to the daily life. As usual, I am highly impressed by people that followed their dreams and passions and Hernan is a successful one of them. 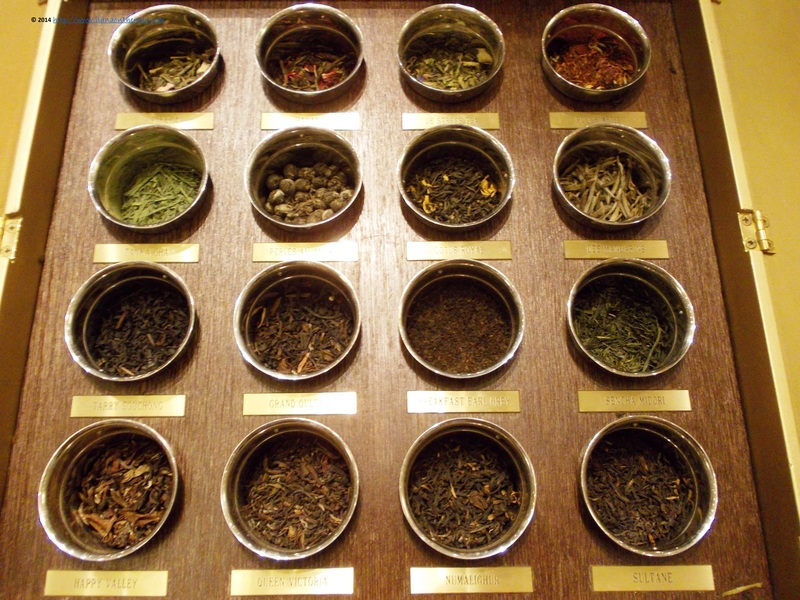 Trained by the famous Mariage Frères in France, whose special teas are exclusively served here, he makes my tea choices even complicated, as it seems that behind each flavour it's a whole fascinating story. I can spend full days in the front of this sniffing box so, who knows, maybe I have enough passion too to be a tea master myself as well one day. 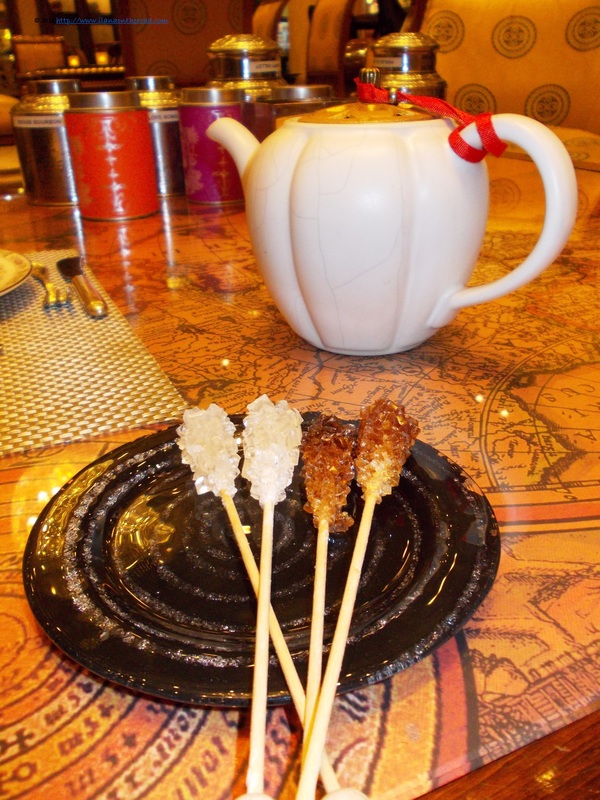 As Hernan explained, sugar can change completely the texture of the tea and if you really want to have the real taste you should be careful with the sweetness as well as with the various taste combinations of the side dishes. In the case of the black tea, for instance, the sugar and the lemon can smooth the flavour, while too much caramel to the green tea will almost completely neutralize the green tea taste. As for now, there are 68 sorts of tea available, introduced in detail, in English and German, in an elegant booklet offered to the guests for consultation and lecture. The organic honey offered as an alternative to sugar is made on the roof of the hotel, at the 7 beehives that produce around 3-400 kg. every year. With so many new stories, my brain is fighting hard to make the right choice, at least for now. Trying to make my life easier, I decide to stay around my comfort zone: the green tea. As I was missing Japan lately, I said 'yes' to Gyokuro. According to the explanation offered in the tea menu, this tea seems to the result of hard work, similar to that of a work of art. Only buds are plucked, very carefully by hand, and only once the year. But before that, the plants are placed under the shade for three weeks in order to increase the concentration of chlorophyll and reduce tannin. 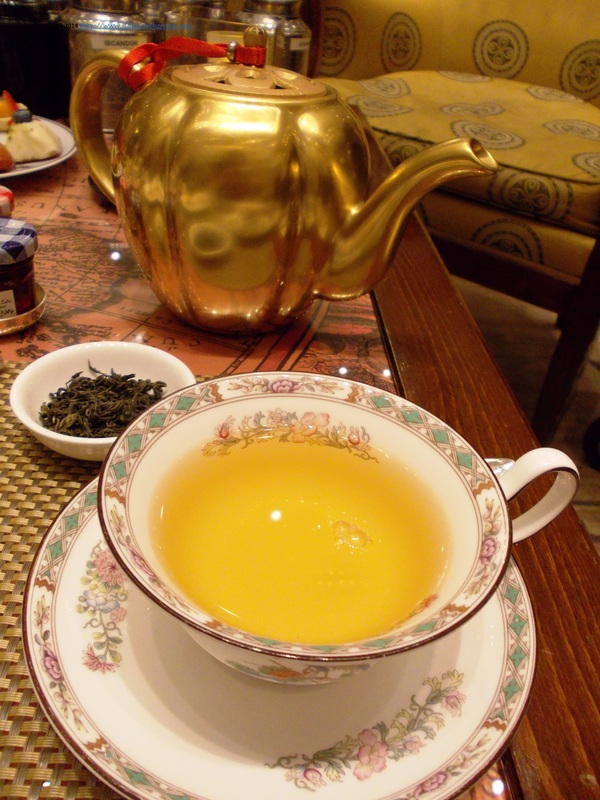 The result is considered to be 'the most noble, refined, and precious green tea in the world'. 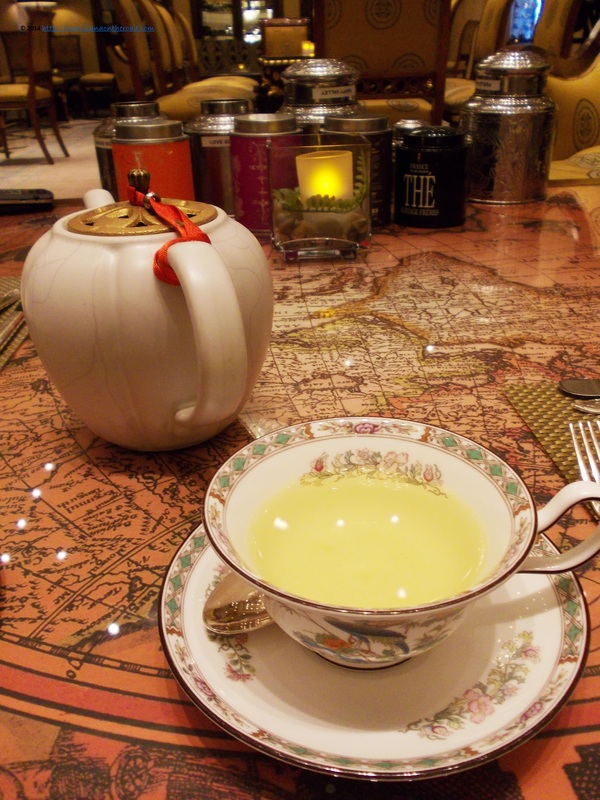 Brought in Mariage Frères teapot, it's the best green tea I ever had - and the secret is that I am drinking as much green tea as possible: very simple, balanced, flavoured in a very neutral, humble way. Every drop brings more peace and balance and I'm almost back in my dreamworld. But it's time to add some good foodie company to the special tea. The three-tiered plates are not less surprising. From warm raclette to small sandwiches with cucumber and various veggies cover or the delicate small pieces of sweets, everything ask me to stay more, just because I need to be truly objective with my final review, of course. Now, the perfect ambiance seems to be complete: the elegant architecture, pleasant background music, the tailored furniture - especially made by German artists, the small pieces of food, each one having a small delicious secret, as only one different concentration of spices or a bit of salt can make things completely different and, of course, the exquisite tea. 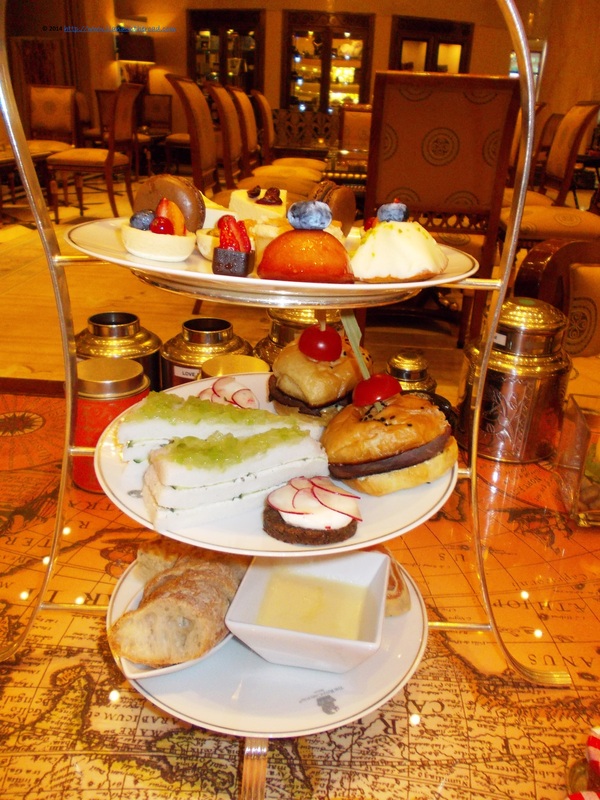 The afternoon tea takes place every day between 2pm and 6pm. Besides the usual classic and Experience French Aroma - offering an exclusive Mariage Frères experience - afternoon tea there are also special Ladies Tea offers - for before and after the shopping tours and tailored winter offer during the holiday season. 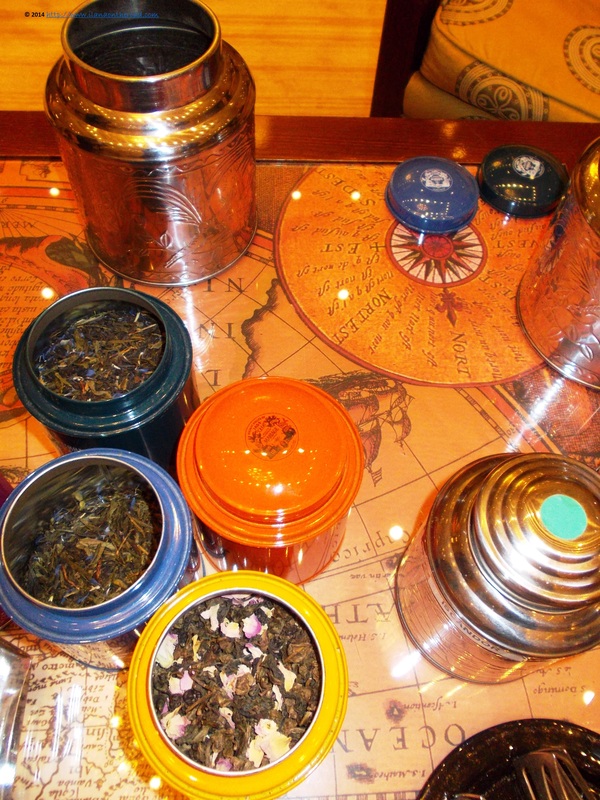 Regularly, there are also offered various tea classes, especially for children. 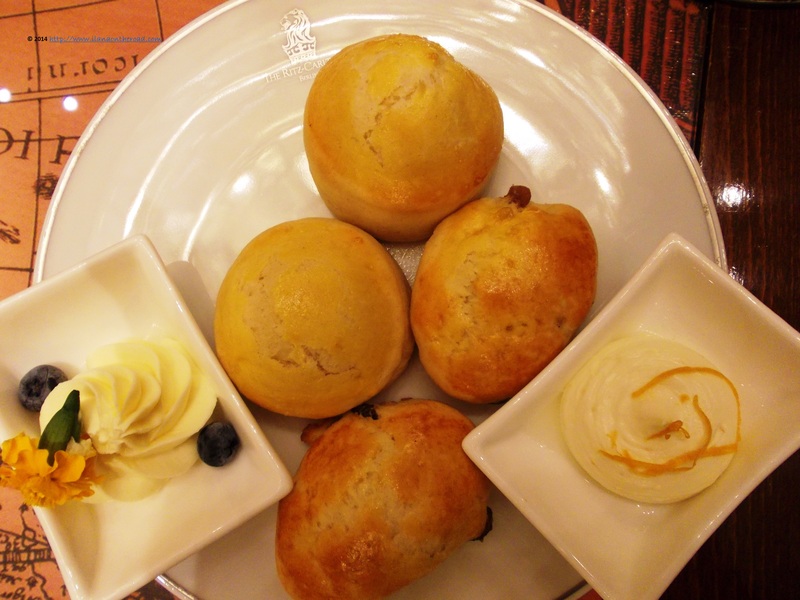 When I was expecting less, the fresh, delicately warm scones, with clotted cream arrives. The combination between smooth fresh pastry and the perfumed clotted cream, with flavours of orange and lemon, is like the yin and yang of food excellence. The recipe of creating simple things might be more difficult, as you simply should wish for that perfect measure. It seems that in the case of this simple plate, the secret formula was used. As for the sweets, every simple bit is set to impress: the macaroons are one of the best I had in Berlin, and believe me, I am desperately trying to find the most crunchy, delicious ones for a long time already; the small chocolate beds with slices of strawberries do mix the sour cocoa taste with the natural freshness of the fruit; the small slices of cheesecake with berries do have a natural taste of smooth cheese, moderately sweet but the fruits make all the difference; the many other lucky combinations between various fruits - from passion fruit to various types of berries - and fine dough. My sweet reveries are interrupted again by Hernan who is asking me to make the second choice of tea for the day. This time it's easier - it's not that difficult to get used with the good life - as during the first presentation, the story of the Lotus Blanc caught my attention. It says that on the high plateau of the Northern Indo China, the tea planter places at down some of his best green tea in the heart of each white lotus flower. He then folds the petals over to permeate the tea with the pure fresh fragrances of the aromatic stamens. It's moderately smoked, which gives a very interesting air of mystery to the tea experience, rich in unknown flavours and slightly perfumed. Although aware of the special medical qualities of such a tea - helping among others to balance the low blood pressure - I am savouring every single sip with the same interest as I would share for looking at some beautiful jewellery. Maybe besides diamonds, good teas can be a girl's best friends too. Need to seriously think about it one day. When my afternoon tea is over - at least for now - I know that there are so many cuppas with their secret stories waiting to be discovered that I should be back soon. Maybe after so many years I finally found the right way to enjoy the long German winters, after all. 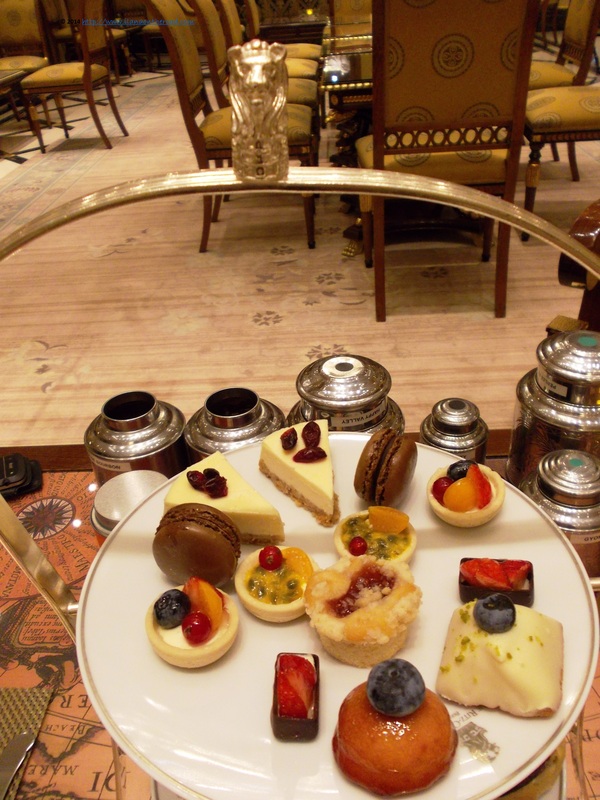 Disclaimer: I was the guest of Ritz-Carlton Hotel for tasting and testing their afternoon tea, but the opinions are, as usual, my own.